Aerial : flying over of the hand-held walking tractor is used to ploughing a paddy field for rice seedlings and scattered farmers working on fields under white clouds sky. 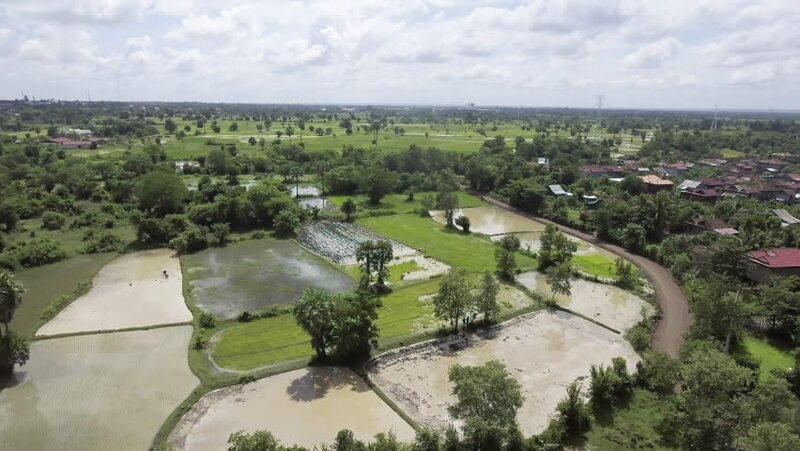 4k00:37Aerial drone shot: the hand-held walking tractor is used to ploughing a paddy field for rice seedlings and scattered farmers working on fields under white clouds sky. 4k00:09Winter drone flight above river and lakes. hd00:30Aerial Photo of the landscape from a bird's flight.